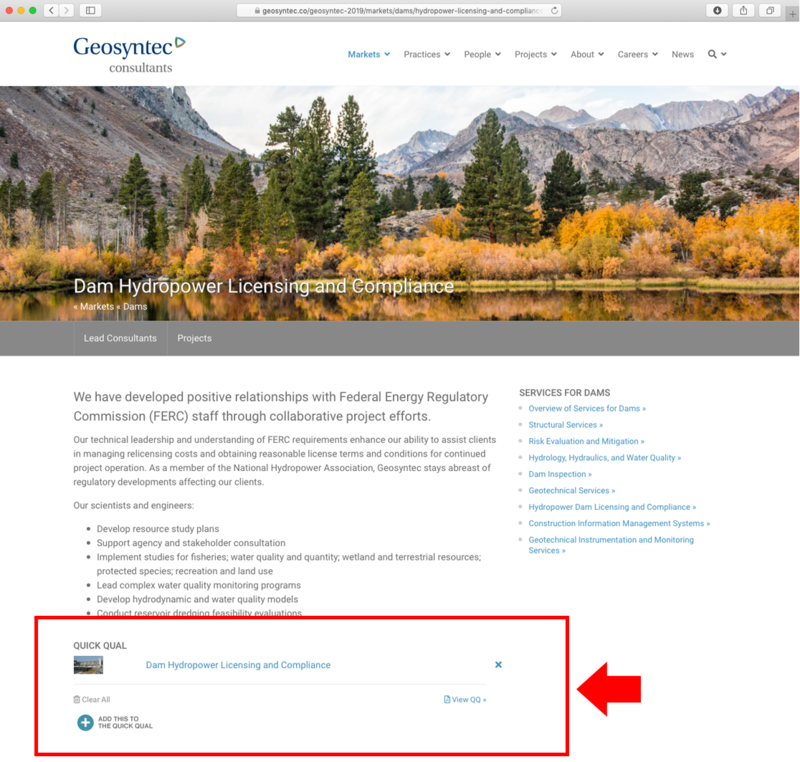 You can keep or share information you learn about Geosyntec's qualifications in a PDF by using our Quick Qual feature. Create a Quick Qual by adding information from the pages on our website. Just look for the red "Add this to the Quick Qual" icon, and click it to add the page to your Quick Qual. Once you have added an item to the cart, you can see your selected page in the Quick Qual box in the right hand column off the website. When you are done adding your pages, click "View Assembled PDF." 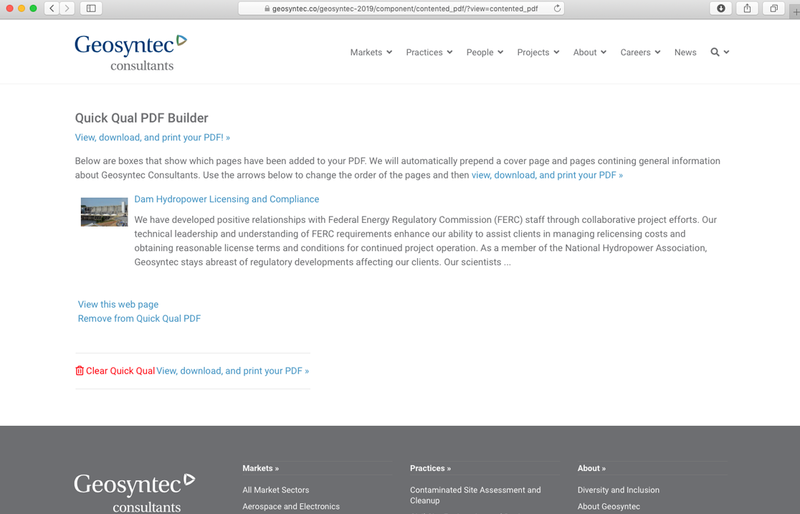 Once you click "View assembled PDF," you go to a page where you can preview your Quick Qual, rearrange the order of your documents, and view, download, or print your PDF. Then you can forward your PDF to colleagues, or save it in your computer for future use. A cover page and several pages of general information about the firm are added to the beginning of the document, making this an easy way to make a qualifications package from our website.